Google's Go line of apps is gradually getting larger, with one of the more recent ones being Google Go, a lite version of the main Google app. 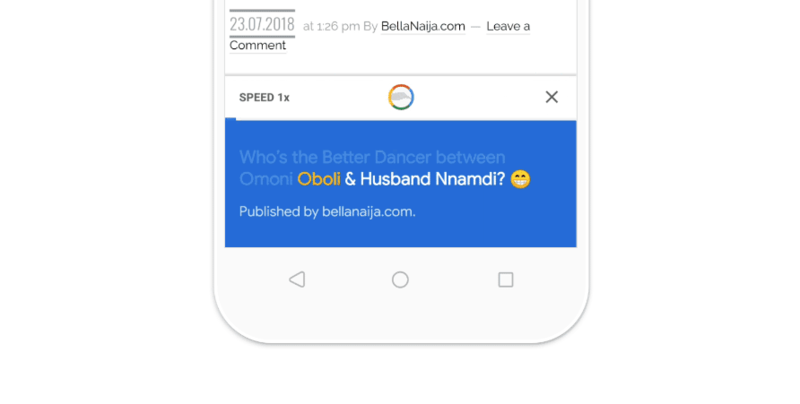 The 'Google for Nigeria' event yesterday saw the announcement of webpage dictation, which is said to be arriving "in the coming weeks," for Google Go. According to Google, this webpage dictation can help you learn something new, let you listen if you need your hands free for other tasks, or just make things easier if you want to relax. Each word is highlighted as it's being read, and you can also adjust the voice's speed to your liking. It's a pretty good concept, and I wouldn't mind seeing it in the fully-fledged Google app too. As for when we can expect to see this neat new feature, Google only says it'll be here "in the coming weeks." 28 languages and billions of webpages will be supported. You can grab the Google Go APK via APK Mirror to check it out as soon as it debuts.